I’m diverging from the main premise if this blog, which is to pass along dessert recipes that I have recently made. Cheese, however, is sometimes a dessert, so I’ll claim that this isn’t too much of a stretch. Plus, as I discover more gems in NYC, I want to pass them along to you. 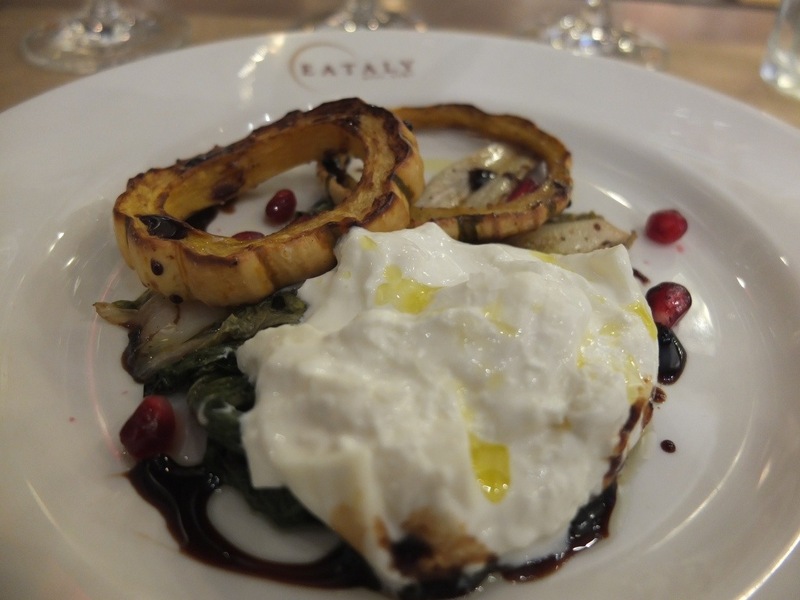 I’ve been on a mozzarella kick since I had dinner at Mailino in the city last fall. (Ina Garten from Barefoot Contessa was sitting at the table next to us, so you know it has to be good.) We ordered some mozzarella and prosciutto as an appetizer. 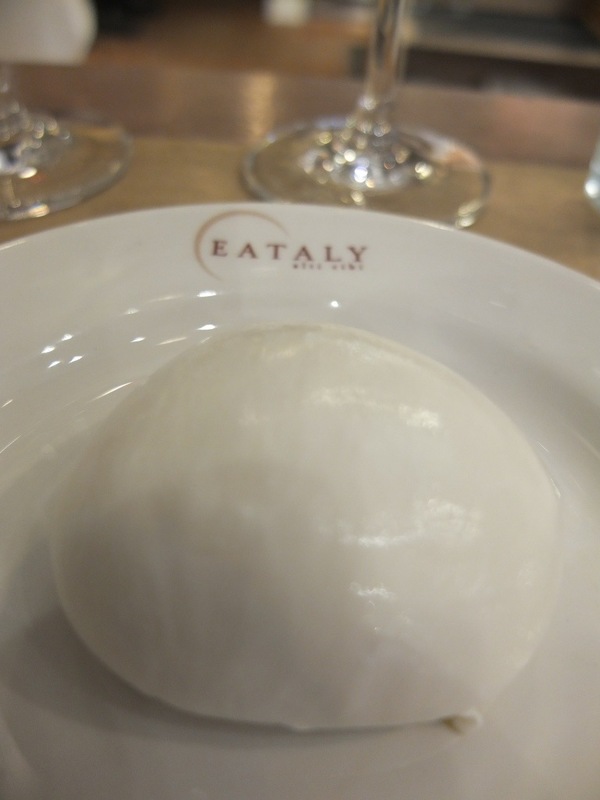 This was no ordinary mozzarella; it was clearly homemade and each bite just melted in your mouth. I probably could have had just a plate of that for my meal. When you get deeper into the market, you discover fresh prosciutto, milks, cheeses, olive oils, and more Italian cookbooks than you would know existed. Everyone is bumping into you and talking loudly, so there is no mistaking that you are in New York and not Italy, but you can eat like you are in Italy. 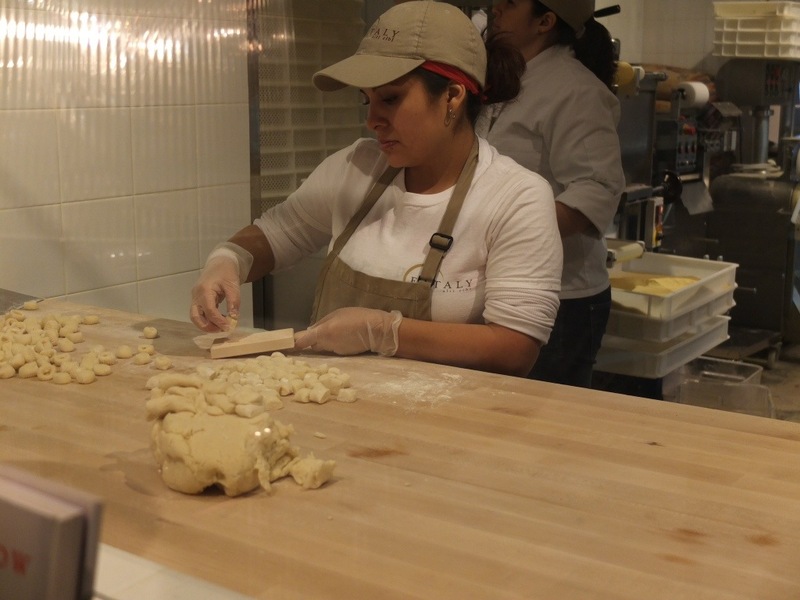 The greatest part of the market is watching the staff prepare fresh pasta. When I was there last, they were making gnocchi. If I lived in the city, I’d go here to pick up fresh pasta for special dinner parties – or just to share with a friend – for a special home cooked meal. Nothing beats fresh pasta and cheese. Back to mozzarella. I discovered they had a mozzarella class, and I jumped on the opportunity to sign up. In typical NYC fashion, it was a way over-priced class, but you better believe that I got some delicious homemade cheese. 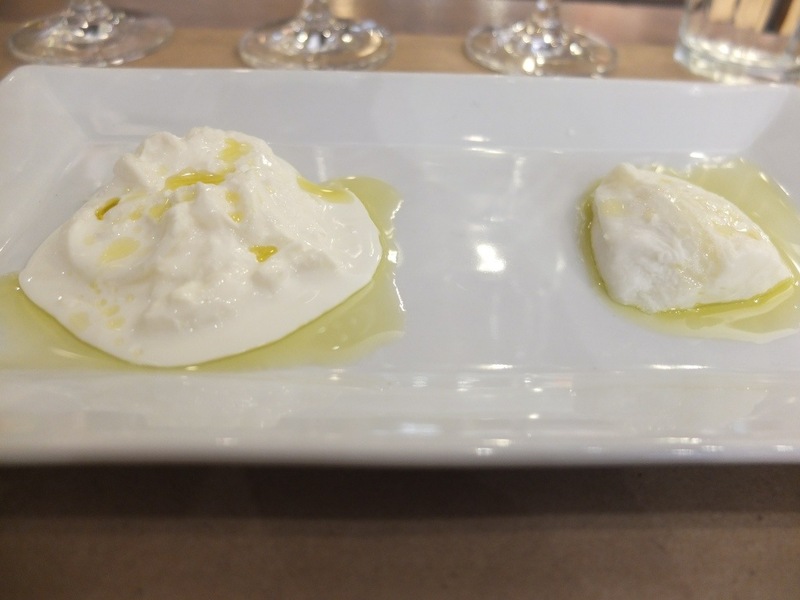 We started the class by learning about the process of making mozzarella, and the origins of mozzarella in Italy. (Fun fact: unlike with cows, the milking process of water buffalo and goats cannot be mechanized, which is why their milk and cheese is more expensive.). We left the class stuffed full of multiple kinds of mozzarella, salad, pasta, and pizza all made with their fresh mozza. Main take-away from the class, which I will pass along to you: if you ever see homemade barrata on the menu, order it. 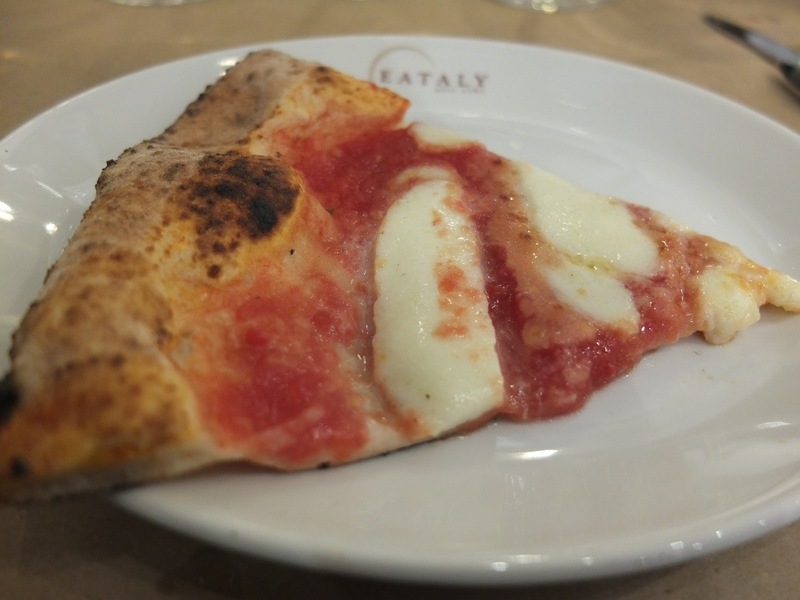 It is the most amazing, buttery, melty mozzarella cheese you will ever have. Use a slice of Italian bread to sop up all of the yummy goodness (on the left in the picture below). Offer it to me for dessert, and I’d choose it over chocolate any day. Kate: Spasm! Spasm! Oh, God, here it comes… lactose intolerance! Agree, cheese can certainly be dessert! Cheese course, yes please…however, I hope you don’t intend to replace chocolate with cheese on a permanent basis.